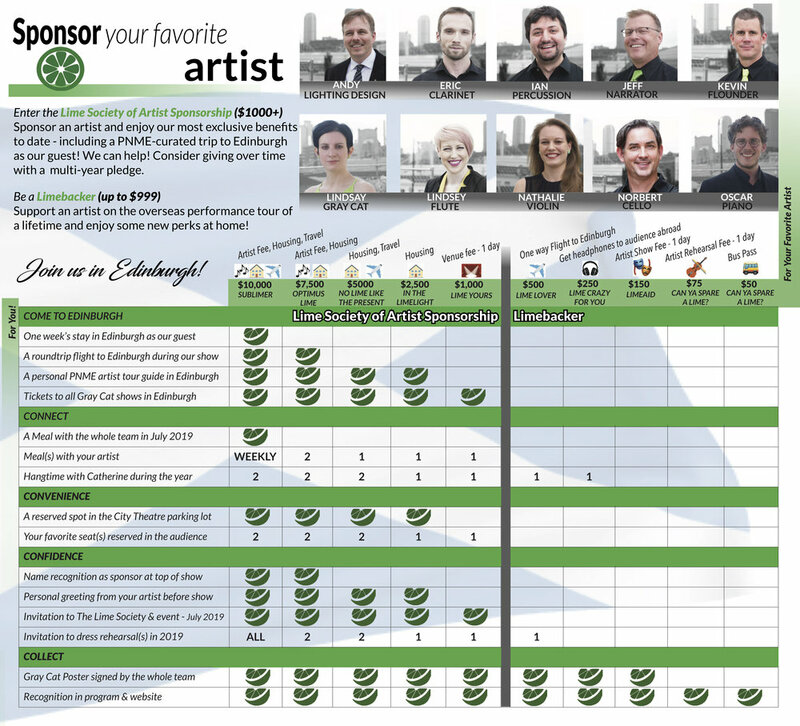 Check out our campaign thermometer! PNME is taking our beloved production of "The Gray Cat and the Flounder" to the Edinburgh Fringe Festival in 2019! 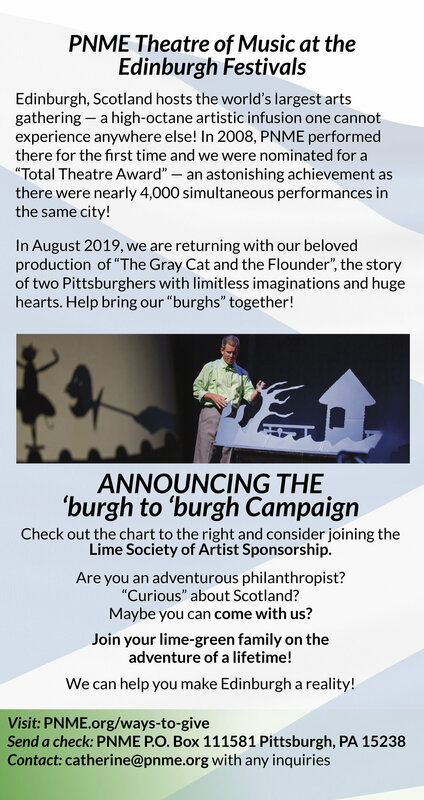 The Fringe Festival offers an infusion of art like you can’t imagine and we want you, our lime green family, to be right there with us when we unveil our most treasured, personal commission coupled with the most innovative technology we have ever experienced. After all, this is a beautiful story about two Pittsburghers, and we need your help to share it with the world! Your gift will have global impact, and we hope you will consider being a part of this journey with us! We have an INCREDIBLY generous donor willing to match all gifts to the tour dollar for dollar up to $50,000!! Your gift will be doubled! More information about the tour, and how to give, BELOW. OR call or email Catherine at (704)806-7800 catherine@pnme.org and discuss your options including a multi-year commitment that will GET YOU TO EDINBURGH! !